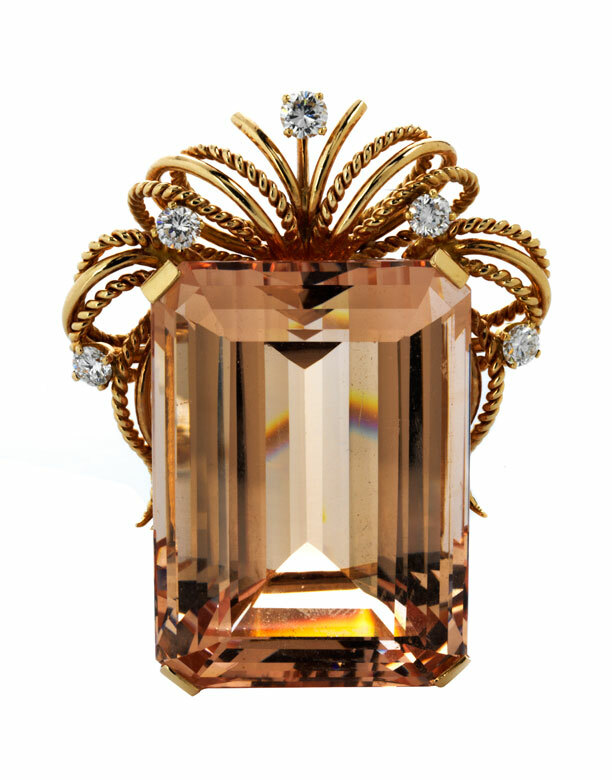 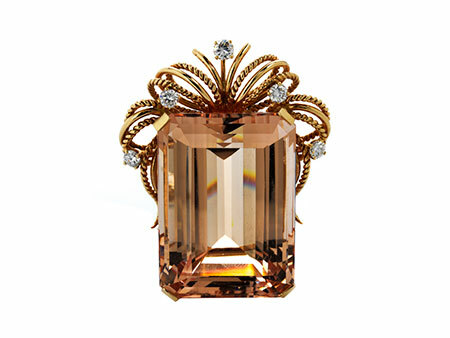 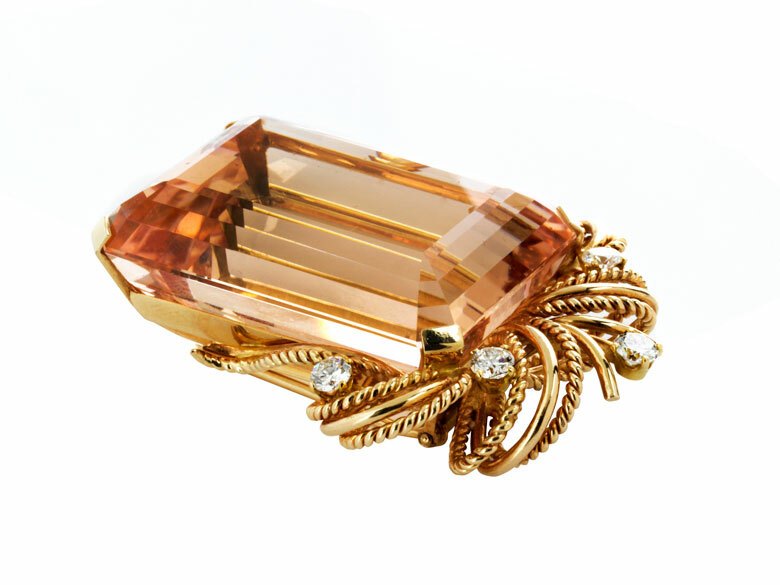 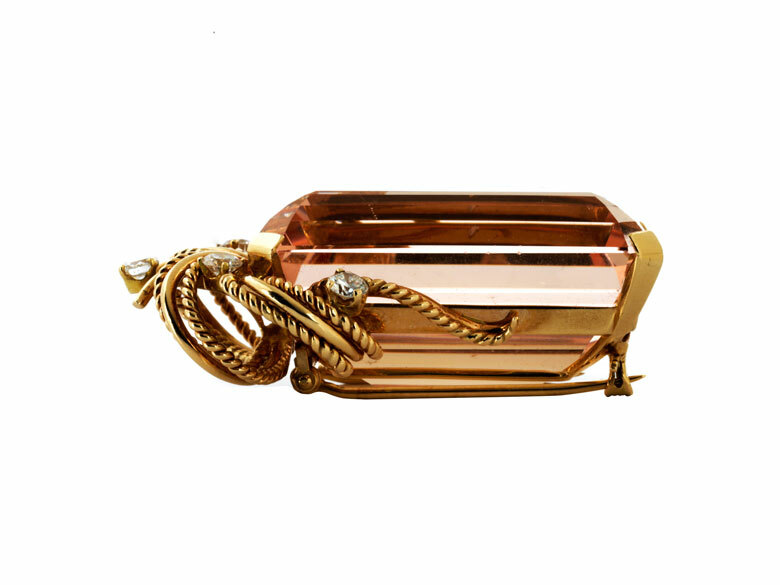 Highly-decorative elegant pendant brooch with large octagonal pale peach emerald-cut morganite ca. 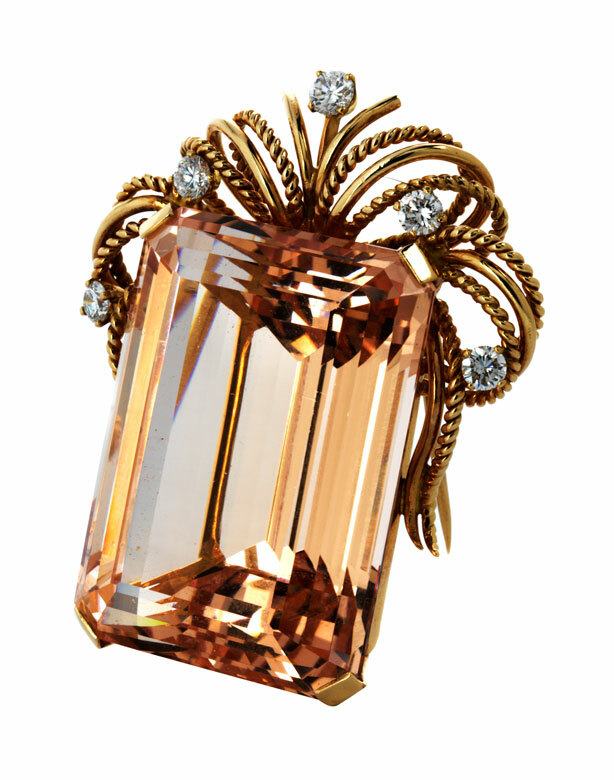 198 ct, and five brilliant-cut diamonds, totalling ca. 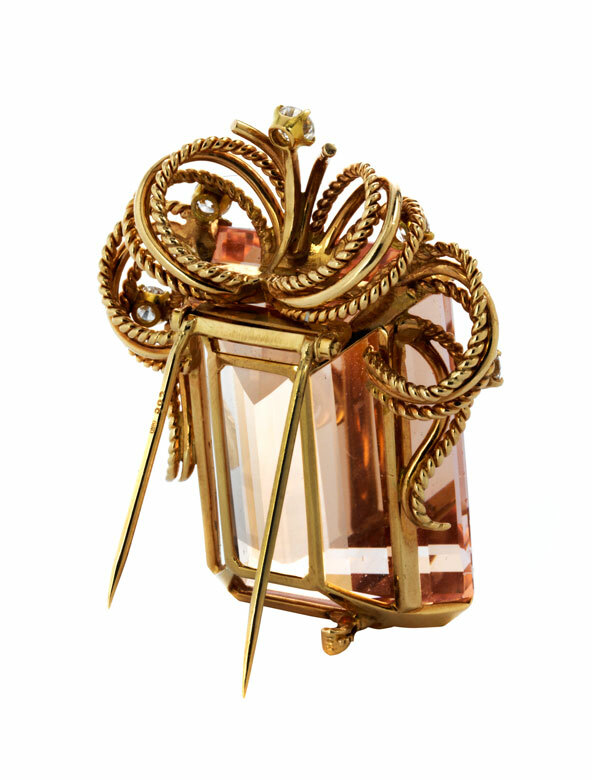 1.25 ct. Brooch with double pin and safety catch. 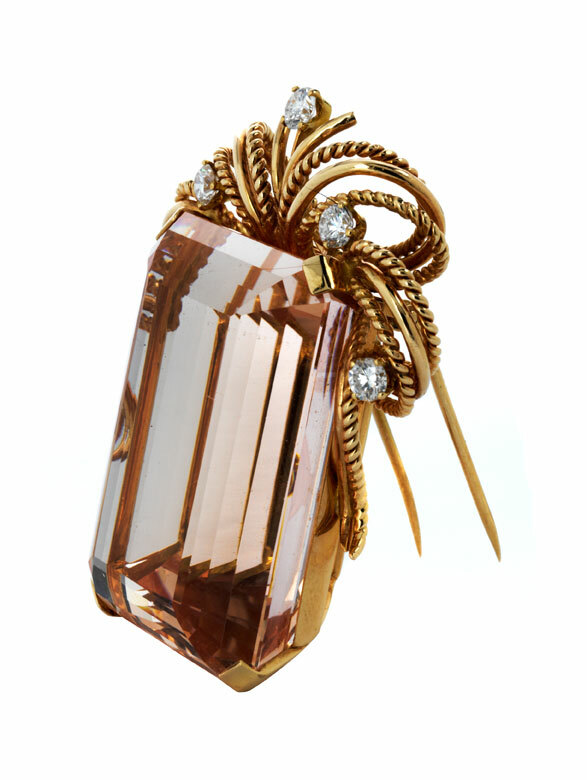 Brooch mounted with suspension loops on the reverse to alternatively wear as a pendant.